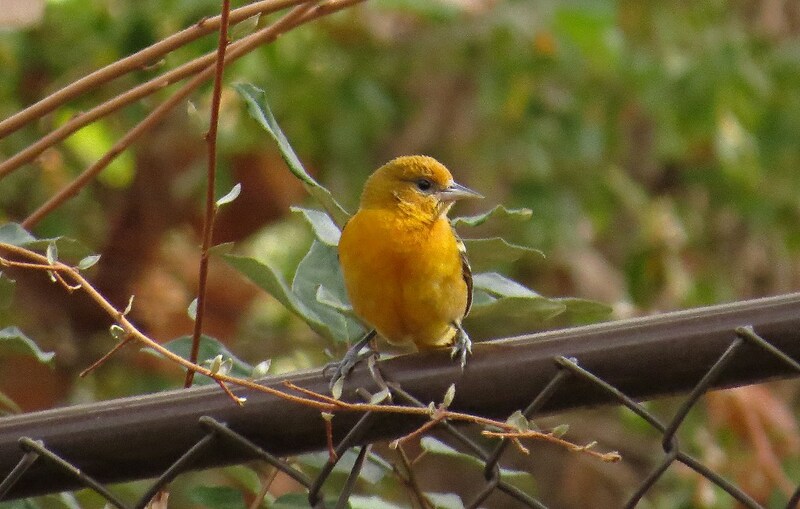 …and this female Orchard Oriole. I’m fairly certain they both came in search of a bath or a refreshing drink, but neither was quite brave enough to challenge the Robins. 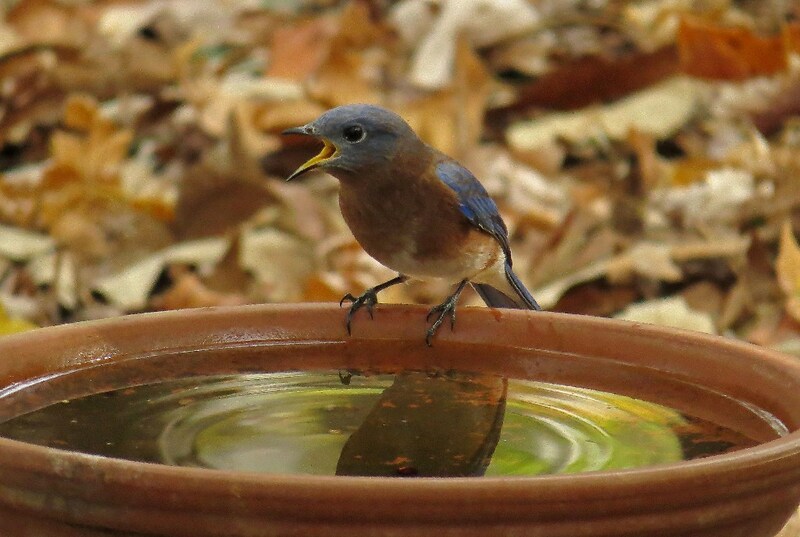 …and they have taken over the drinking dish, which is really just the clay saucer for a flower pot sitting on a log. 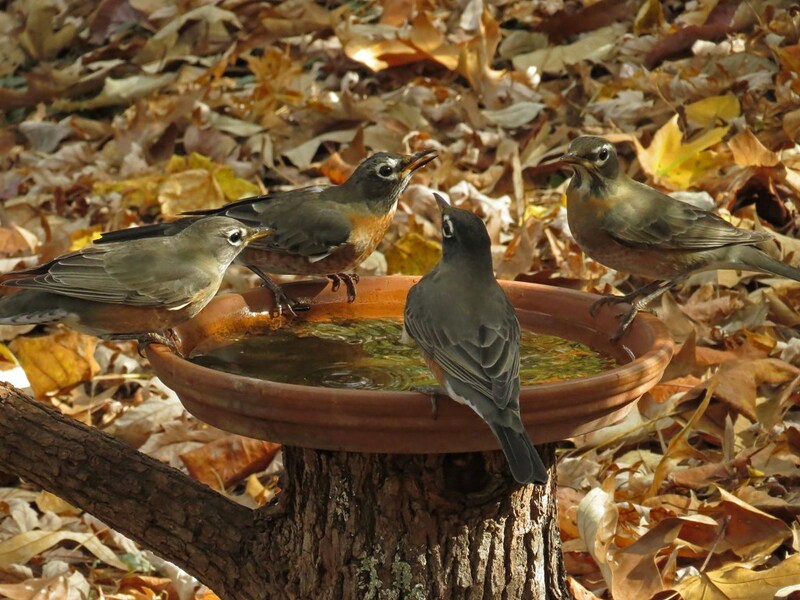 Now, the Robins don’t seem to mind sharing with each other, but no one else seems to want to share with them. 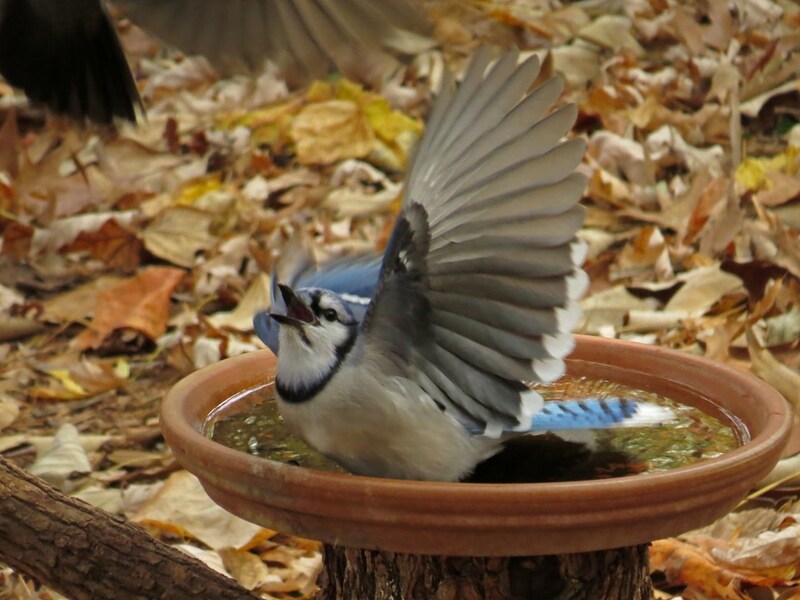 Both the Blue Jay and the Bluebird below made it perfectly clear that they were not in the mood for drinking buddies. 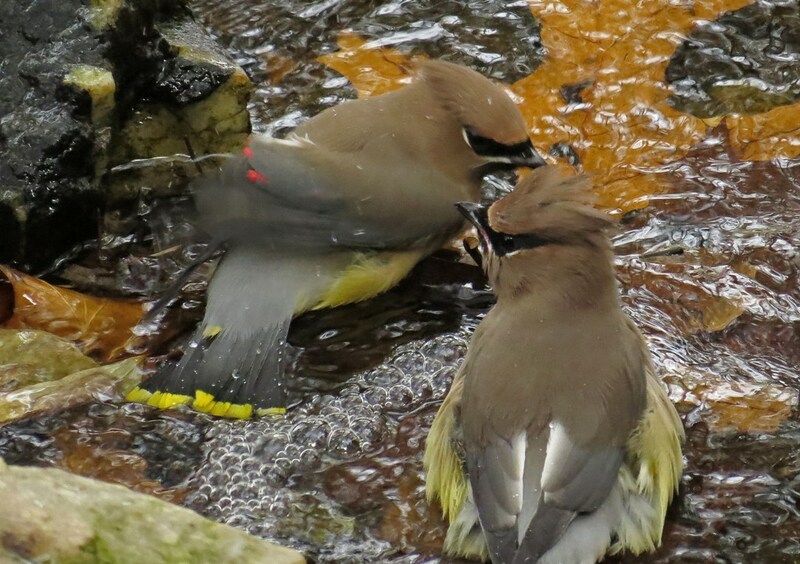 …and then they got in for a sip and a brief splash. 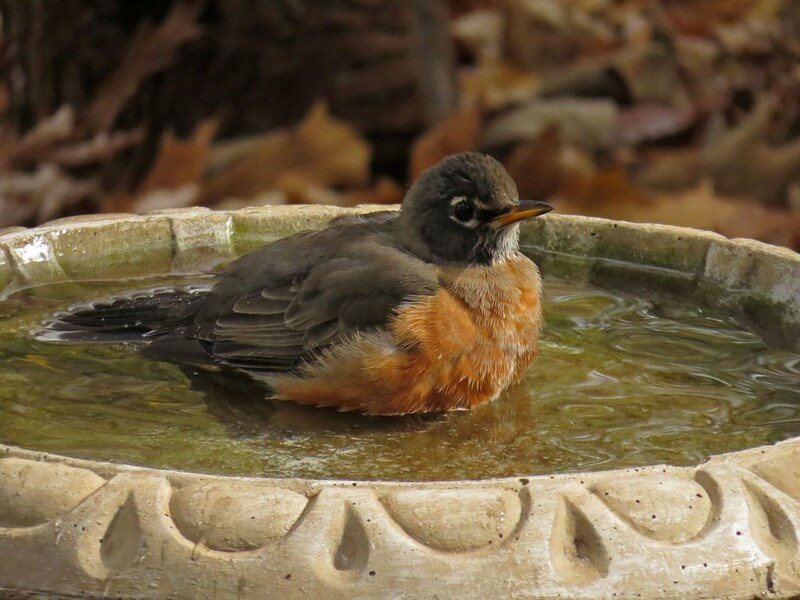 This entry was posted in Backyard Birds and tagged beauty, birdbath, birds, drought, hobbies, nature, oriole, photography, robins, vireo, waxwings, writing. Bookmark the permalink. Wow! What enjoyment for you!!! 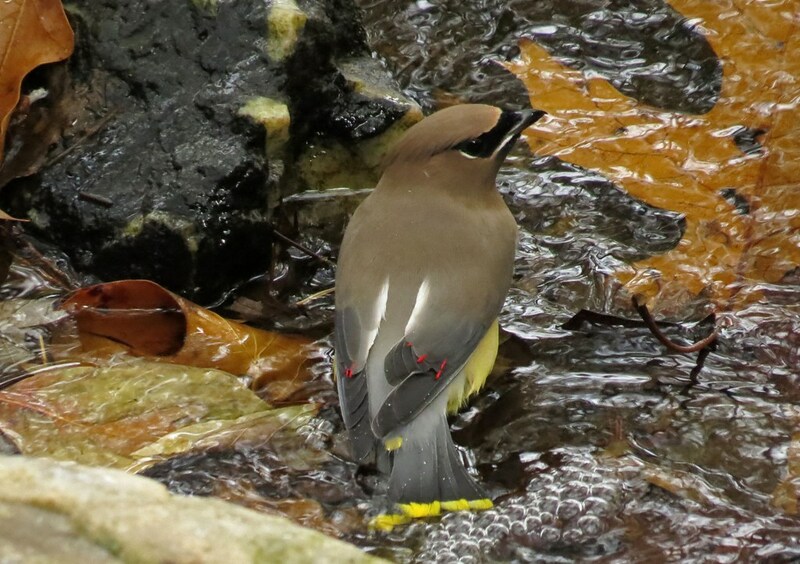 Love those waxwings. Don’t see them around here. Every time I see them, I am amazed by their beauty! 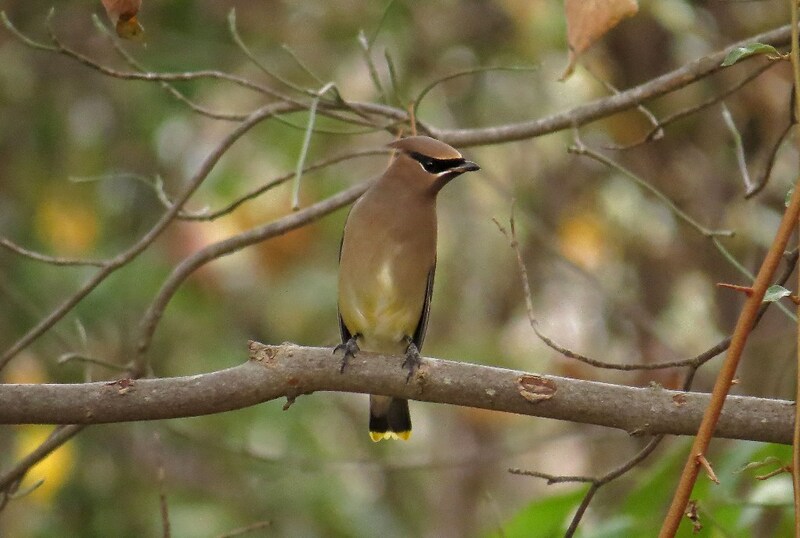 Kathy it is wonderful for the birds to have you to provide for them during your drought, it is one way to see more bird varieties, your lovely captures highlight this fact. I am praying for rain, but in the meantime I will enjoy the photo opps! Why thank you kind (biased) sir! 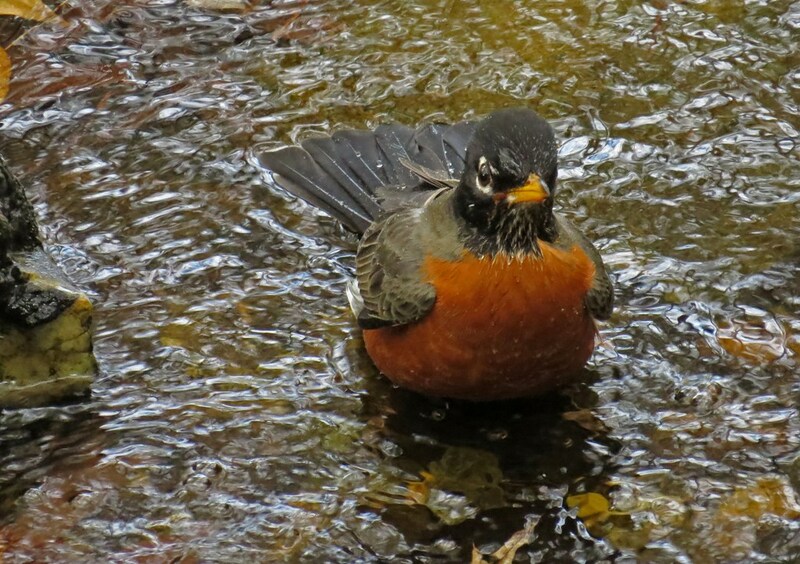 Thanks – I thought of you when I saw the Oriole since you seem to get them frequently. And I caught my first glimpse of a Yellow-rumped yesterday, so they are arriving! 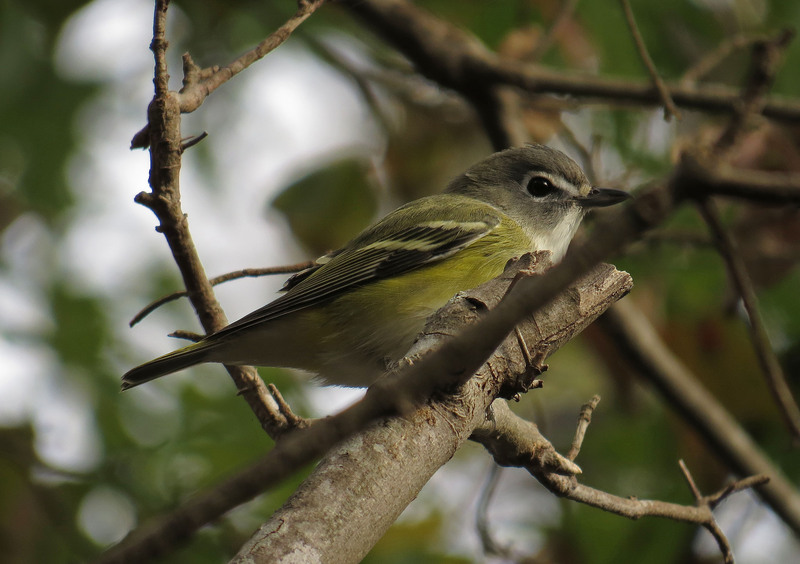 Glad to hear about the Warblers. We have a few and they seem to be increasing in numbers! Good tie of the year! A bevy of birds! How wonderful. All terrific shots. Ah…an alliterative comment…my favorite kind! I wish I could send you some of our abundant rain. I would take you up on that offer…especially since now we have so many wildfires springing up! 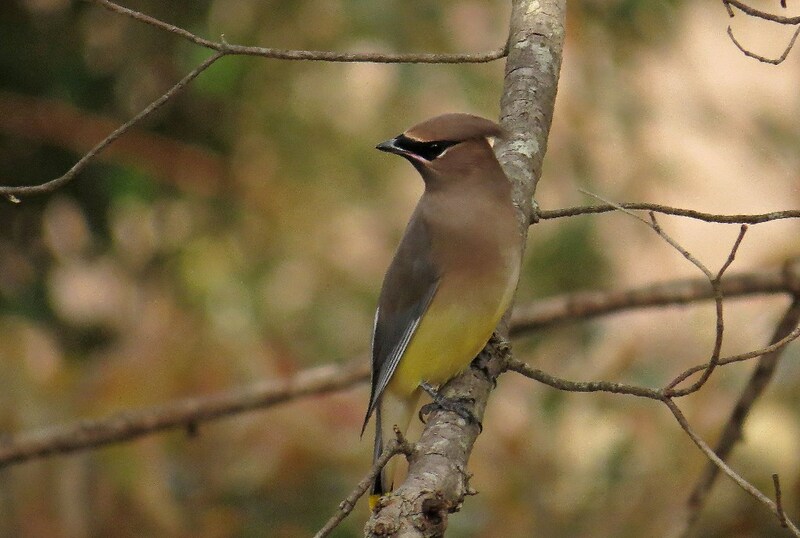 I especially love your cedar waxwing captures!